Lurline's Place: Quilting on a Rainy Day! Whoohoo! I'm about halfway there on The Raffle Quilt - really enjoying it but it is quite time consuming. I basted it all by myself, so much to my pleasure - I think you know my left arm doesn't work - so a sense of achievement! I have ruled up half of PollyAnna and will hand quilt her with Perle thread - it will be lovely to do on cold winter evenings. I used a Frixion pen - not for the faint-hearted, but a clear, neat and easy way to go! Very briefly - Nurse Lurline has three patients at the moment, 93 year old Mum, DH had a seizure last Sunday night, so no driving for three months, and DS broke his thumb while working on a rig out in the Indian Ocean. He had surgery Friday evening and all is going well. 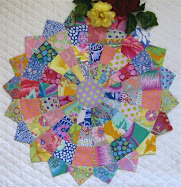 I am letting all this happen around me and moving along in little steps with my quilting, a great diversion. I hope you are all having fun! Oh my word you have your hands full at the moment - hope all the patients are behaving themselves and here's hoping for a good recovery for all of them and thank goodness for quilting! look after yourself. ((((hugs))) sounds like a very busy time looking after everyone just make sure to take care of yourself first.LOve what you've been working on :) Barb. Quilting is such good medicine...hope everyone heals quickly. Love your quilt! Sorry you have so many patients, and I hope they heal quickly. I should have been more specific. 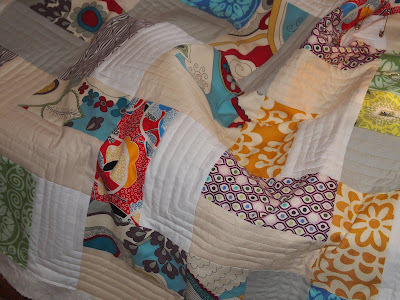 The first quilt is nice, but I was referring to Pollyanna--definitely some fun fabrics! Desejo ótima recuperação de todos,trabalhos lindos.Parabéns.cuide-se.um beijo e DEUS abençoe. Sorry to hear Ed had a turn hope he is recovering well...Love Pollyana hope you get time to stitch her and rest..
Oh Lurline!! love and hugs, the patients will have to be patient and let you quilt, thinking of you..
helps keep you calm I am sure! the quilting is looking wonderful, keep going and good for you basting it all by yourself, major accomplishment ! hope everyone heals quickly and Ed is back driving in 3 months. Lovely projects to keep you busy while attending your nurse duties. Hope all is well. 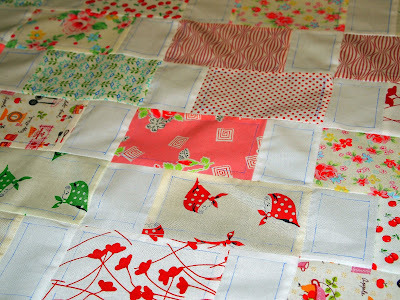 I love how you are quilting it....glad you are halfway through, means you can go on to something else when done! Oh what a busy nurse you must be! Hope the patients are all doing better. Love those quilts!!! Good luck with the nursing. I hope the quilting of these lovely quilts will provide a pleasant distraction. Je l'aime beaucoup, c'est idéal pour utulisé tous nos tissus. BravoJe vais le proposer ma guilde. I love the quilting on that, so straight and precise. Lovely work...hope all the patients are improving!